In our blog, Lupus Treatment Options: Lupus Medications, we covered many of the most common pharmaceutical treatments for lupus. We also recently posted a blog on the first FDA approved lupus drug in 50 years, Benlysta. Because we recognize that there are also alternative treatments to biomedicine and pharmaceutical drugs, we wanted to take some time to address these alternative medications and therapies in this blog. Complementary medicine can be of assistance for both managing the symptoms of lupus and bolstering the immune system. The word “alternative” might sound strange to some, but you may be surprised to learn that many of these alternative treatment options and/or therapies are more familiar than you think. Alternative therapies can be of benefit, and are often used in conjunction with traditional medications. A better term than “alternative” is perhaps “complementary” since these therapies are typically used as a complement to traditional pharmaceuticals. 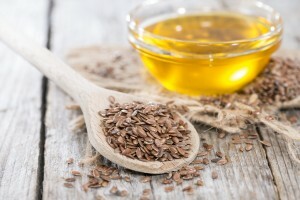 Flaxseed: Flaxseed contains a fatty acid called alpha-linolenic acid, which may decrease inflammation in the body. Some studies have found that kidney function may improve in lupus patients who have kidney problems, such as like lupus nephritis. Abdominal pain and bloating can be side effects of taking flaxseed. Fish Oil: Fish oil supplements that contain the Omega-3 fatty acid, may be beneficial for people with lupus. Preliminary studies have shown some promise but more study is still needed. Nausea, belching, and a fish taste in the mouth are some side effects you may experience while taking fish oil supplements. Read more about this topic in our blog, The Lupus and Diet Dilemma. Vitamin A: Vitamin A is an antioxidant and is commonly found in whole milk, liver, and some fortified foods. Beta-carotene is a pro-vitamin found in carrots and many colorful vegetables that are then converted to vitamin A in the body. Vitamin A protects against free radicals (harmful substances in your body) which can damage DNA and lead to cancer and other diseases, and has anti-inflammatory effects. A lack of enough vitamin A has been linked to inflammation in the intestines, lungs, and skin. For some people, taking vitamin A supplements could reduce the inflammation that contributes to conditions like inflammatory bowel disease, acne, and lung disease. Vitamin E: This vitamin supplement comes in several different forms. The alpha-tocopherol type of Vitamin E may help prevent heart disease by slowing the release of inflammatory substances that damage the heart. * Alpha-tocopherol also might be effective for easing lung inflammation related to allergies. However, because studies were conducted on animals, it’s not yet clear whether the results will translate to humans. DHEA: DHEA (dehydroepiandrosterone) is a hormone that is effective in treating some people who have symptoms of mild to moderate lupus. Particularly, it seems helpful with hair loss (alopecia), joint pain, cognitive dysfunction and fatigue. It also can be helpful with fighting against osteoporosis. Some side effects of taking too much DHEA may include: acne, oily skin, sweating and facial hair growth. This is due to the fact that it is a mild male hormone. It is important to talk to your doctor before taking DHEA because many over-the-counter supplements are not regulated and may not be effective. If your doctor thinks you should try DHEA, it is always best to obtain it from a compounding pharmacy. 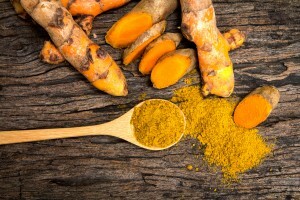 Curcumin/Turmeric: Curcumin, the active ingredient in the herb turmeric, has been studied and shown to have anti-inflammatory, antioxidant and antibacterial properties. The spice has been used for centuries as a medicine in cultures all over the world. It has been known to help pain, and may help diminish some lupus symptoms. Be cautious about taking high doses for long periods of time, since it can lead to diarrhea, indigestion and nausea. Also, those with gallbladder problems, diabetics, pregnant and breastfeeding women should avoid taking turmeric. Boswellia Extract: The active ingredient in boswellia extract is better known as the traditional frankincense. Yep, you heard right…the same frankincense sang in Christmas carols, and notably mentioned in the Bible as a gift for baby Jesus. This same spice, acts as a powerful anti-inflammatory. This is due to its ability to reduce the body’s production of leukotrienes, which promote inflammation. Boswellia has been successfully used to treat lupus, RA, Crohn’s disease, Fibromyalgia and Osteoarthritis. It can also be helpful against gastrointestinal inflammation. People who are sensitive to it may experience stomach upset and diarrhea and acid reflux. Ginkgo Biloba: Or “ginkgo” is an herb that has been used in traditional chinese medicine for thousands of years. The extracts from the herb are high in concentrations of flavonoids and terpenoids. These molecules are antioxidants and improve blood flow which can help with Raynaud’s Phenomenon, a common lupus overlap condition. Pine Bark: Pine bark extract (pinus pinaster) may help improve lupus inflammation and lupus symptoms. There has not been a tremendous amount of research on the subject, but one study did find that it provided a reduction in SKEDAI scores (Stefanescu 2001). Myers Cocktail: This infusion therapy is a method processing vitamins, minerals, detoxifying and alkalizing agents directly into the bloodstream by IV. By bypassing the digestive system, it is rapidly absorbed. The ‘Myers Cocktail’ contains 7 B-vitamins, magnesium, calcium, vitamin C, selenium, glutathione and bicarbonate. It is used for both acute and chronic illnesses and some even use it for maintaining optimal wellness and preventing disease. It has been used for autoimmune diseases like lupus, fibromyalgia, Lyme disease, allergies and celiac disease. It is not approved by the FDA and is not covered by insurance. *The NACCM advises that both herbs can have side effects, and as with many supplements, their efficacy has not been confirmed by scientific research. We recommend consulting a physician prior to taking herbs or supplements to treat lupus, especially if traditional medicine has already been prescribed. 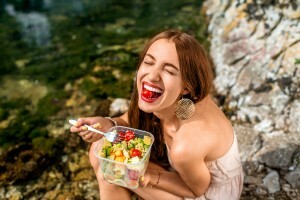 Diet: Some of the most important issues that specifically relate to lupus patients in regard to diet and nutrition are: reduction of inflammation and swelling, prevention of nutrient deficiencies, maintaining strong bones and muscles, combating medication side-effects, reachng or maintaining a desired body weight, and reducing the risk of heart disease. Read more about some anti-inflammatory diets in our blog: The Paleo and Anti-Inflammatory Diets: What you should know. Massage: Massage can be beneficial and therapeutic to those with chronic joint and muscle pain due to lupus. Massage can improve circulation and help relieve joint stiffness. However, if you have cutaneous lupus, or lupus primarily affecting the skin, then you may want to avoid intense massage that can lead to bruising or even bleeding underneath the skin. Be sure to use a licensed massage therapist and, if possible, one familiar with lupus if you do decide to try professional massage as part of your lupus treatment and management. Chiropractic: Chiropractic care is the manipulation of your spine and other connective tissue, to improve the mobility of joints and reduce pain. Practitioners are required to go through extensive training and licensing exams, and chiropractic care is often covered by insurance. The effectiveness of chiropractic therapy for lupus remains controversial, although many have found relief with this type of therapy. Acupuncture: Data suggests that acupuncture may help in treating lupus symptoms, although evidence is limited. 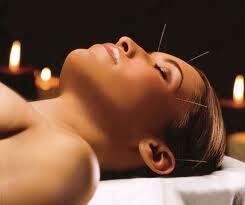 Studies have shown that acupuncture may be useful in alleviating pain associated with lupus. 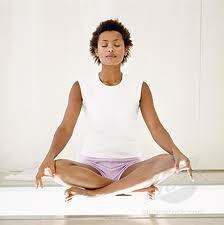 Yoga: The ancient practice of yoga can help people with lupus maintain limber joints and help alleviate stress. Stress is the enemy of lupus sufferers as it can increase inflammation and therefore increase pain. Before starting a class, talk to the instructor about any special restrictions you may have because of your joint symptoms. Meditation: Also an ancient practice, meditation makes use of the mind’s ability to control the body and can be used in lupus treatment to control pain, reduce stress, and improve your sense of well-being. Herbal Medicine: Feverfew, goldenseal, and pau d’arco are just a few of the helpful herbs one can use, please consult your physician before adding any of these supplements as they may interfere with your other medications or have unwanted effects. *Echinacea should be avoided as it is primarily used to boost the immune system. In lupus patients, the immune system is over-active and taking this supplement could cause flares in disease activity. 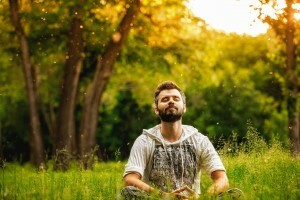 Mind/Body Medicine: Creative visualization, spirituality, relaxation techniques, biofeedback, and other mind/body treatments can strengthen the immune system, as well as reduce joint pain and easy accompanying depression. By working closely with your medical provider(s) and being upfront about any complementary therapies you want to explore, together you and your medical provider can formulate a plan. In addition, let your medical provider know about any supplements you are currently taking in order to avoid preventing the efficacy of any proscribed medications. We hope this blog has been able to help you on your journey of lupus management and direct you to some options you may not have considered. We welcome and encourage your comments and/or personal stories.